For a really impressive playground, have a look at our fabulous Mountain Clubhouse. This design incorporates two play decks; one at 1.5m and one at 2.1m connected by an internal mini ladder. The top deck can be kept completely closed in for security or it can feature a gigantic spiral slide 9see example right). 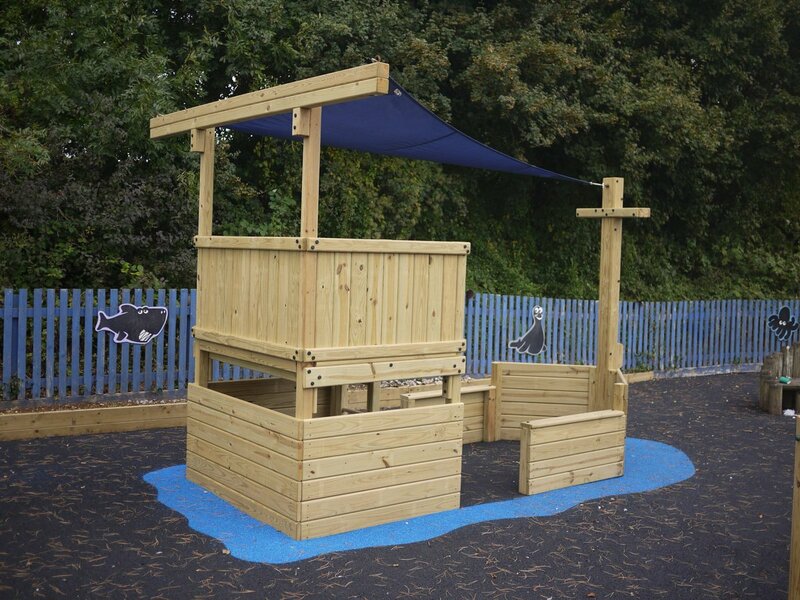 The lower deck can be fitted with all sorts of other play accessories including slide, ladder, cargo net, rock wall etc – or it can join onto other clubhouses via a bridge or other connector. With the addition of a third deck at 1.5m (below, centre) it also becomes the Mountain Triple giving lots of play space in a very compact area. Take a look at how our modular playground design system can help give you the perfect play equipment for your site. Click here for the Mountain Clubhouse specifications. You can customise your own design, or to see some examples of some of the installations we have done for other clients, visit the gallery for some inspiration. We manufacture all our play equipment ourselves in our own factory. We use the best pressure treated timber and top quality commercial fixtures and fittings to give you maximum life from your playground investment. And we have more than 20 years experience in designing and creating the finest outdoor playgrounds – all at prices which are lower than you might expect. Contact us today for a quotation or some ideas and let us help you plan your new playground. Even at the construction phase we were able to add and remove items and move things around to enhance the play, quality, safety and to fit the contours of the garden.